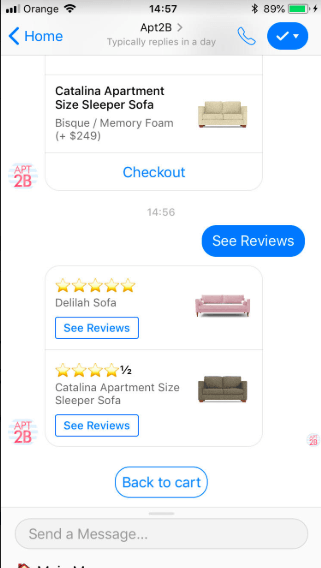 With our Yotpo integration you can easily display top product reviews in abandoned cart messages and help your customers decide to purchase their cart. How do I integrate Yotpo with Octane AI? 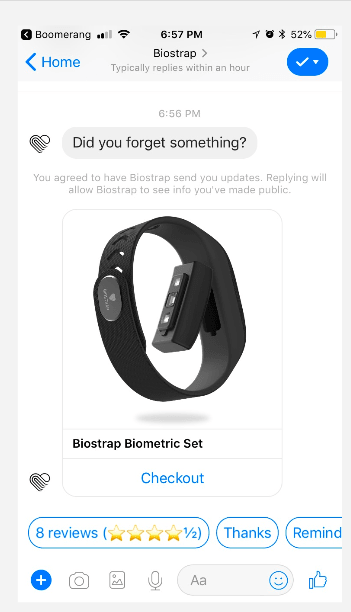 In order to integrate Yotpo reviews simply go to Apps page and click "Add Yotpo"
How will the reviews be displayed? 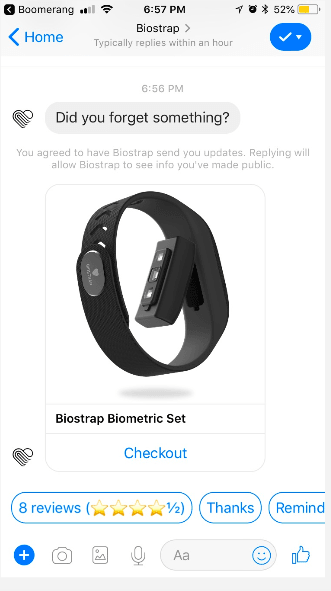 When users have a single product in their abandoned cart we display a reply button where they can click and check the top reviews for that product. 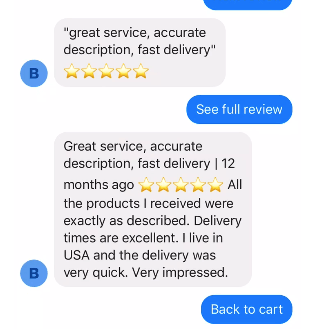 If the product has four stars or above, that reply will show the product rating right on it. If the product has below 4 stars, it will simply say "See Reviews." If the customer had more products in their cart, we will display a "See Reviews" option for every product. 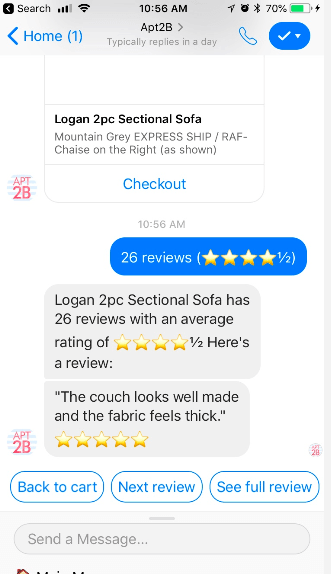 If you use Yotpo for reviews, you should definitely integrate Yotpo with Octane AI to increase your abandoned cart conversion rate!